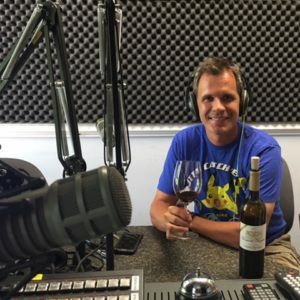 My guest this week is Stephen Barnard, winemaker at Keswick Vineyards. A native of South Africa, Stephen developed a love for the fruit of the vine while working as a tour guide at the oldest winery in South Africa. 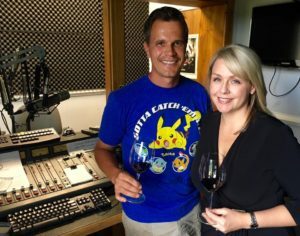 Stephen dropped by the WCHV studios to talk about the 2016 vintage, the winemaking philosophy at Keswick, his award-winning wine portfolio and the quality revolution of the Virginia wine industry. We are also sipping and discussing his yet-to-be released 2014 Estate Cabernet Sauvignon. As Stephen says, “a conversation without wine is just gossip!” In addition to this stunning example of Cabernet Sauvignon, Keswick was awarded top billing in this year’s Virginia Governor’s Cup for Barnard’s 2014 Cabernet Franc Reserve. You can catch a brand new show every Saturday morning on Cville 107.5 and 1260 WCHV. Enjoy the show. Cheers!